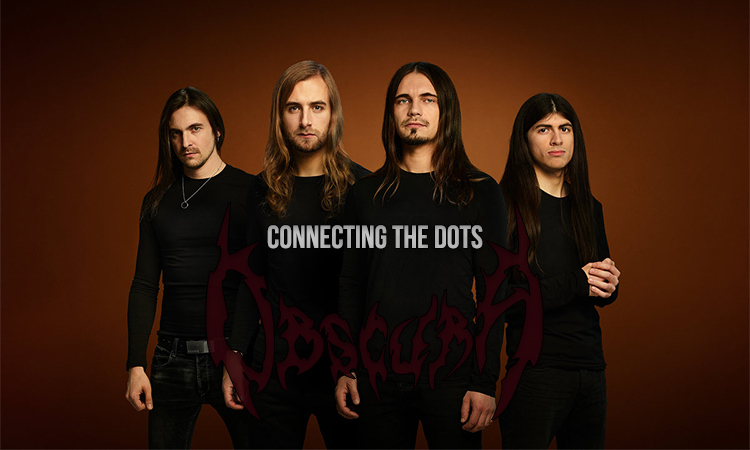 In today’s Connecting the Dots, we’re going to be talking about Obscura, who’ve become the closest thing there is to a household name amongst tech death enthusiasts. Obscura have recently undergone some significant lineup changes, but their Omnivium roster — arguably their most well known — is what we’ll be focusing on today. Soon after their sophomore album Cosmogenesis landed the then-relatively-unknown German band on a world tour alongside Cannibal Corpse, Obscura found themselves propelled to tech death stardom, bolstered by instant classics such as “The Anticosmic Overload” and “Centric Flow”. Third release Omnivium cemented Obscura’s role as one of the foremost tech death bands around, with longer, more progressive tracks featuring roaring seven-string riffs and lightning fast leads alike. A headline tour featuring fellow European tech legends Gorod and the otherwise notoriously tour-avoidant Spawn of Possession followed in support of the album, and it continues to be named as one of the best tech death releases of all time. Latest release Akroasis is a different sort of beast, aiming for a more dynamic and progressive sound — and successfully meeting its mark — although guitarist Christian Muenzner and Hannes Grossman left the band in the time span between Omnivium and the new record. 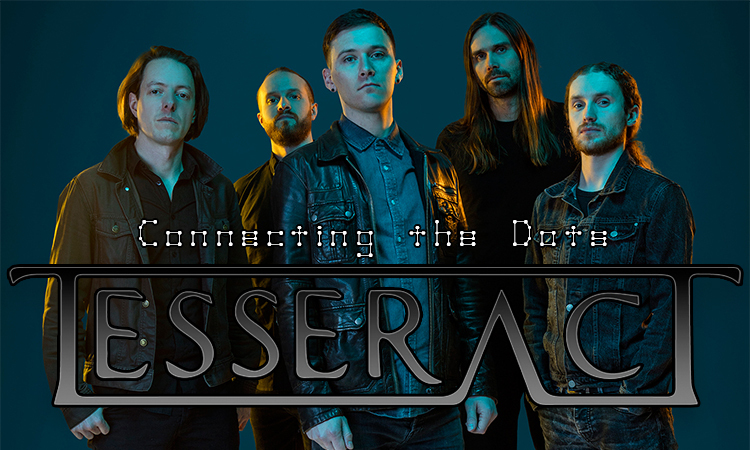 It bears mentioning that Obscura’s overwhelming post-Cosmogenesis success was only helped by the notoriety surrounding two of their newly recruited members, Christian Muenzner and Hannes Grossmann. Indeed, the two had previously been in Necrophagist, the tech death band infamous for playing a crucial role in tech death’s evolution before disappearing off the map almost entirely save for a few live appearances until the end of the decade. Their 2004 (and thus far latest) release Epitaph brought almost unprecedented levels of virtuosity to tech death, heavily drawing on neo-classical influences coupled with a slick production job to arguably reinvigorate the entire subgenre. That being said, both Muenzner and Grossmann — who both cut their teeth on Epitaph, and began their illustrious careers with it — promptly left soon after the album’s release, and Necrophagist’s decade-plus-long absence has only meant that tech death has evolved further and further past the initial high bar they set. Some still point to Epitaph as being one of the sincerest expressions of tech death ever put to tape, and it admittedly still holds up today — but in the grand scheme of things, it remains more just a historically significant moment for the subgenre. But that’s enough of the past. Alkaloid are a newly formed project seemingly birthed out of Muenzner and Grossmann’s departures from Obscura, though the two bands both have Linus Klausenitzer handling bass duties. Even then, Alkaloid’s formation appears to have been a long time coming, considering how frequently the musicians within the lineup had worked together in the past: for instance, lead vocalist and guitarist Morean had previously performed a guest solo on “Velocity” from Omnivium, while guitarist Danny Tunker filled in as a live guitarist for Spawn of Possession on the Obscura headline tour mentioned above, covering the spot that would have been otherwise occupied by Muenzner. The band only have one release so far in the form of last year’s brilliant opus The Malkuth Grimoire, supported by a crowdfunding campaign that no doubt capitalized on the sheer star power of the lineup within the European tech death scene. That being said, The Malkuth Grimoire is much less of a tech death album than any of Necrophagist or Obscura’s works. Rather, the project opts for a more progressive/melodic death metal sound with tech death touches on top, making for a highly diverse 70-minute album that is certainly more than the sum of its parts, featuring quick tech death cuts such as “Alter Magnitudes” alongside longer, more fleshed out songs, culminating in the massive 15-minute sci-fi centrepiece that is “Dyson Sphere”. Definitely an interesting project that pushes the capabilities of its members to new heights, and something to keep an eye on in the future. One of the most legendary tech death bands out there today, Spawn’s three albums have earned them unanimous praise from all ends of the tech death scene, with each successive release only increasing their popularity exponentially. Their third release Incurso, and the first featuring Christian Muenzner on lead guitars, is known as one of the greatest tech death records of all time for its impeccably precise songwriting and instrumentation in addition to Muenzner’s absolutely chaotic lead playing. Perhaps a little inaccessible for those not too into tech death for how dense and perhaps even impenetrable it can be, the album continues in the tradition of classics such as Gorguts’ early records (which Spawn have cited as influences) in greatly rewarding those who take the time to explore every last corner of its chaos. Blotted Science are a bit of an odd band to include in today’s list, but they were impossible to ignore considering some of Grossmann’s most technical drum lines are to be found in his work with the project. The brainchild of guitar mastermind and godfather of tech death Ron Jarzombek, Blotted Science are an instrumental tech outfit pushing the limits of musical wizardry, primarily by working with ridiculously complex systems of composition developed by classical composer Arnold Schoenberg. But if that wasn’t enough, 2011 EP The Animation of Entomology was scored entirely to movie scenes involving bugs of all sorts terrorizing humans (because why not?). 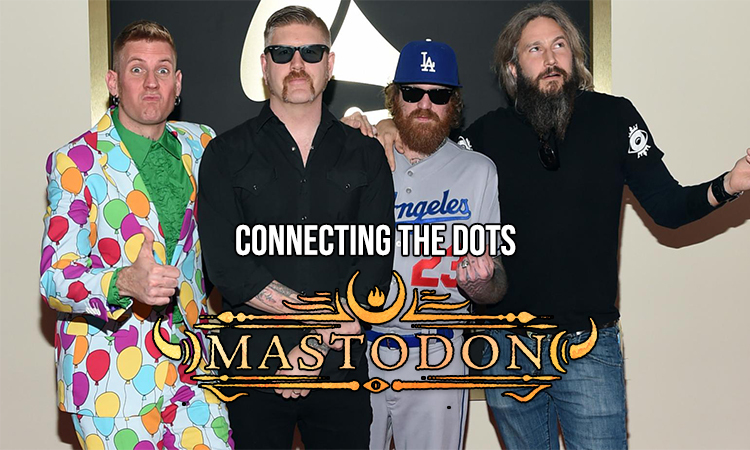 The band may not be everyone’s cup of tea — not even that of your average tech death fan! — but the level of virtuosity at play from Jarzombek, Cannibal Corpse (remember when they toured with Obscura?) bassist Alex Webster, and Grossmann himself is absolutely mind-bending. EXCLUSIVE PREMIERE: Stream A New Song From Red Dawn! Interesting! 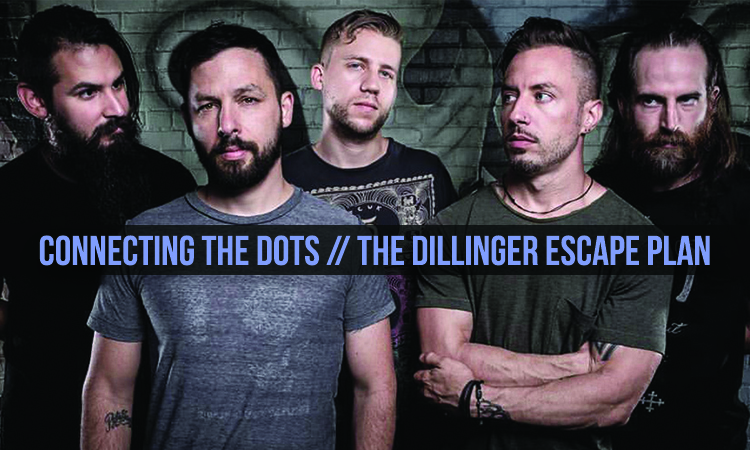 I’ve heard the name thrown around but haven’t gotten around to listening to them just yet. Very cool that Jimmy Pitts is also involved — I loved the Pitts Minnemann Project album. Will check them out! Yup, I highly recommend it — I think Muenzner and Pitts are really the dominant players on the album and they’ve put on an incredible performance.